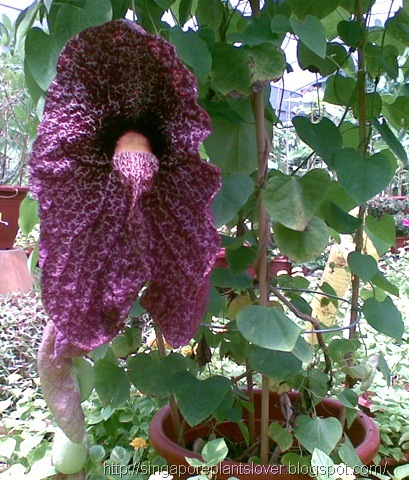 Aristolochia is a large plant genus with over 500 species. Collectively known as birthworts, pipevines or Dutchman's pipes, they are the namesake of the family (Aristolochiaceae). They are widespread and occur in the most diverse climates. 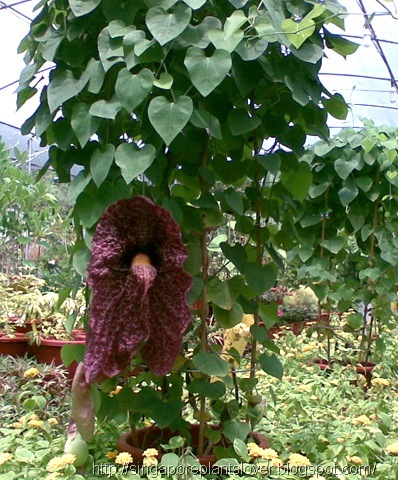 Aristolochia littoralis is a tender evergreen vine with very unusual flowers and beautiful bright green heart shaped leaves. The slender woody stems twine gracefully in tight coils around fence wire and other supports lifting itself to heights of 10-15 ft. The flowers are big about 3 in (7.6 cm), scattered among the drooping leaves. The greenish-white flowers have a s-curved tubular shape that is flared at the mouth that resembles a 19th century Dutch pipe (recall Sherlock Holme's pipe). 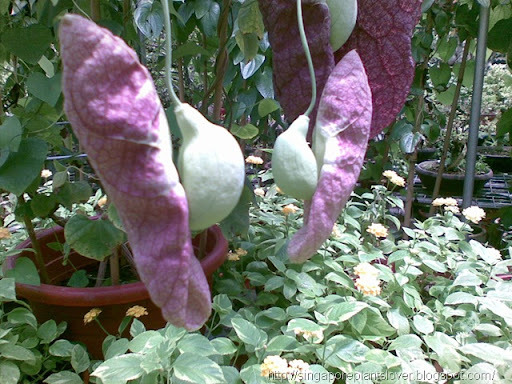 Species of Aristolochia are generically called pipe vines or Dutchman's pipes for this reason. The inner portion surface of the mouth of the "pipe" is covered with a purplish-brown pattern that is reminiscent of calico fabric which inspire this species common name "calico flower". 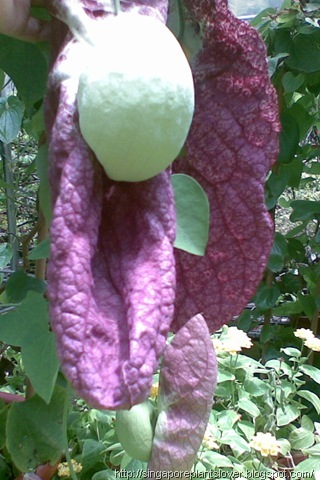 "Dutchman's pipe" is a name more commonly used for another species, A. durior, which is a hardier plant native to the southeast United States. This "real" Dutchman's pipe has a smaller bloom that is not as showy as calico flower but is a great vine to grow as well as all of the pipe vines are important larval food sources for several species of butterflies. Beautiful foliage, unusual flowers, freedom from pests and ease of growth make this one of my favorite vines. I'd never heard of these until today. They are amazing looking. 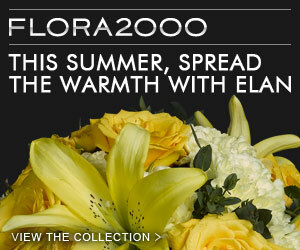 They must be so beautiful in full bloom. Wow! That is just amazing! I've never seen anything like it! What a magnificent flower! I have seen it once, in a botanical garden. It is really amazing! Add me to the list of those who have never seen this flower before. It is beautiful, the calico pattern is stunning. Great capture. Wow... never seen this flower. How do you start growing it? From a seed? And where can I get some. The flower is huge! I've never seen it before, where did you see it? What an unusual looking flower! Nice close-ups! Those are quite lovely! Very unique! Wow ... they look huge, and most interesting! I bet they don't smell good! These flowers are so different. Nice post!